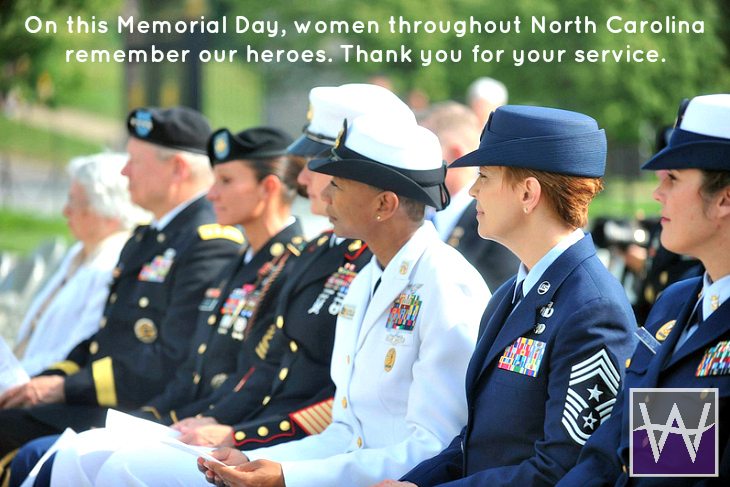 Please join the Board and Staff of Women AdvaNCe as we honor the women and men who have bravely served our country to protect the freedoms of liberty and justice that we, as a nation, hold dear. We ask you to join the president in recognizing Memorial Day, May 26, 2014, as a day of prayer for permanent peace by uniting together in prayer at 11:00 a.m. and again at 3:00 p.m. to observe the National Moment of Remembrance for those who sacrificed their lives. What: >>A Symphonic Salute to the US Armed Forces. The Fayetteville Symphony Orchestra and the Army Ground Forces Band of Ft. Bragg partner up for their second annual free Symphonic Salute to the U.S. Armed Forces concert Memorial Day Weekend at Festival Park. What: Enjoy a >>special Memorial Day Ceremony at Freedom Memorial Park. What: >>Memorial Day at the Orchard. Free live music, storytelling, and hayrides. 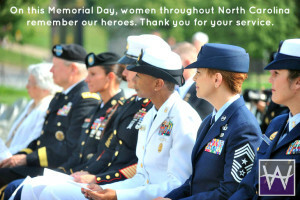 What: >>Memorial Day Parade & Celebration. Begins with a wreath laying ceremony at the Vietnam Veteran Memorial Wall on I-85. Next there will be speakers at the bandstand behind the Big Chair, and then the parade beginning at 11 am. The parade will end at George Cushwa Stadium where there will be free hot dogs while they last, Paratroopers, and more! What: >>Memorial Day Remembrance: The American Soldier Through the Ages. Join military living historians representing American soldiers of all time periods. What: >>The rides in City Park are open for Memorial Day. Rides include the Historic Dentzel Carousel, train, planes, boats, and cars. Rides are $1 each. There are also athletic fields and a playground. What: >>Watauga Community Band Memorial Day Concert. The Watauga Community Band will perform its annual free Memorial Day Concert at 3 pm at the Rosen Concert Hall in the Hayes School of Music on the campus of Appalachian State University. What: Patricia A. Harris, state commander of the American Legion, will speak at the >>annual Memorial Day service organized by the Wilson Committee on Patriotism. The service will include patriotic music performed by the Gardners and Lucama elementary schools’ chorus. The committee will provide a hot dog lunch to veterans and their families following the service.